Treat your toes at the Barefoot Trail! 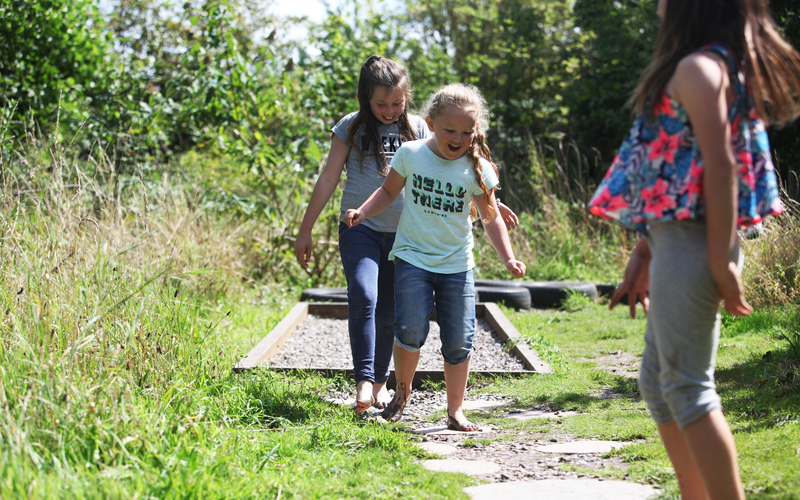 Take off your shoes and tantalise your toes with an array of textures including pebbles, bark, soil and everybody's favourite - mud! Little ones (and big ones) can explore the five different rooms along the trail, including the Mud Cafe and a Play Room. The trail is set amongst a beautiful area of trees, plants and wild flowers. Don't worry about getting muddy feet - you can wash your feet at the end of the trail, although bringing your own towel is advisable! The Barefoot Trail was kindly built by volunteers from Burges Salmon. The Barefoot Trail is kindly sponsored by Tockington Manor School.